Our colleagues over on T3.com have exclusively unveiled LG’s latest trend-setting ‘Black Label’ phones, which you can see pictured right here. 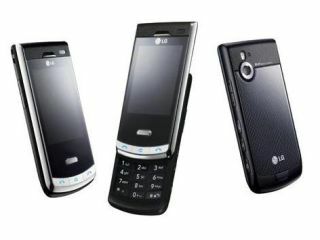 The Black Label follows the Chocolate and Shine phone lines from LG, and promises to be the world's slimmest 5-megapixel camera phone – with the current skinny phone medal in that category being held by the 14.9mm Samsung G600. The phone features a reinforced glass touchscreen and a shell constructed from carbon fiber. More details as we get them in from LG.